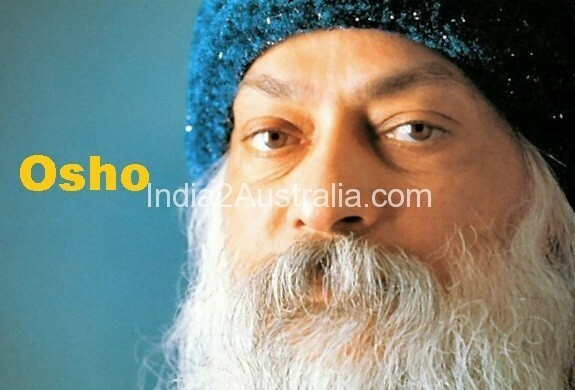 Osho was one of the most well-known and contentious saintly leader of his time. Time to time he came to be known differently. In 1960, he was famous as ‘Acharya Rajneesh’. But, he became famous as ‘Bhagwan Shree Rajneesh’ for about 10 years from 1970-1980. Finally, in 1989 he declared himself as ‘Osho’. He widely traveled to various parts of India, delivering speeches on Gandhism and Secularism. He transformed religions as institutions and promoted a wide outlook about sexuality. This transformation brought in a number of controversies revolving round his spiritualistic philosophy. As a great spiritual therapist Osho came up with number of meditation techniques and later he found an institution after his name. It was Osho International Meditation Center. Osho was born on December 11 of 1931 in Madhya Pradesh in a Taranpanthi Jain community His real name was Rajneesh Chandra Mohan. At the age of 7 he was sent to his maternal grandmother’s house where he has grown up in complete independence. He was free from hassles of restrictions and imposed educations. It was in 1970, he became known as Bhagwan Shree Rajneesh. He began to propagate for his followers, the path of meditation and self-exploration. He didn’t not propagate any renouncement of anything worldly. By ‘Sannyas’ Osho meant the sending-off our belief system that has been transmitted to us through generations. It is obviously different from the usual viewpoint of the Eastern world. During this time, Westerners started getting attracted to his ideology. With Him, they experienced a novel way of meditation which is the blending of wisdom of the East and science of the West. He shows a new insight into the spiritual path. He throws new light on Tantra, Yoga, Taoism, Sufism, Zen including major spiritual paths. He also discourses on Jesus, Buddha, and other mystics. His messages are simple to the core. It is a message to humankind. His messages propagates the evolution of new man. The old notion of man was of either spiritualistic or materialist immoral, saint or sinner. But his messages are based on making life simple and happier. Osho forbade obeying the command of others till one receives the commands from within. The only human being that can give command to you is none but yourself. Other than your thought, there is no other thought, everything else are opinions only. Except life there is no other entity like God or Absolute or Brahma. Only the life is true. It is wonderful because we are destined to die. Any day can be dooms day. God feels jealous of man because man is mortal, but God has to live forever, wherever he is. Truth can’t be found anywhere but within yourself. Life gets better only according to your outlook. If you look for answers in the external world, you are already in the wrong place. Life is very simple. We, the human beings, only find ways to complicate it. The prayer to god is not the reality. Love is the only prayer. What we think, we see it around us. Your thoughts influence DNA that creates vibration in your surroundings. The positive thinking expands the DNA threads and influences others in a positive manner. On the other hand negative thoughts make the thread contract. To have an open mind is the doorway to the truth. The nothingness is the means through which goal is attained. Clear mind is the best place for meditation. Constant thinking can never be healthy. You should give your mind a chance to speak within. Life is here, nowhere else. The Present is the only truth, never think of past, neither future. These simply do not exist. Every moment is NOW, that is PRESENT. Advancing ahead with some lessons from the past is the exceptions only. But you should look through what is happening in the present. Float in the ocean of life. Never try to swim in the turbulent sea of struggle. If you are trying to reach ashore in the turbulence, you will be drowned. So, float on, and it will use up less force or energy. Consequently, you will be able to last longer. Your savior will be there to rescue you. Let everything happen in your life, be sure that life will take you away in the safe direction. Die to live a life anew. Each moment creates a new “I”, you are not the same person that you had been before. What exists is only the present. The only moment that does exist is the present, never worry about the imminent things of the next hours in the future. Never get caught up in the past, nor worry for the future. Never search outside. The truth is within you. Don’t resist the natural flow of life by worries and anxieties about what is not in your hand. In this hour of the day, our life is already taken care of by several means. Worrying too much only create problems that will keep your mind occupied. Just stop worrying and enjoy the fragrance of life.